The molecules were collected from plumes of ice particles ejected through cracks in the frozen surface, and a ring of Saturn made up of what scientists believe is filled with Enceladus frozen spray, he said. 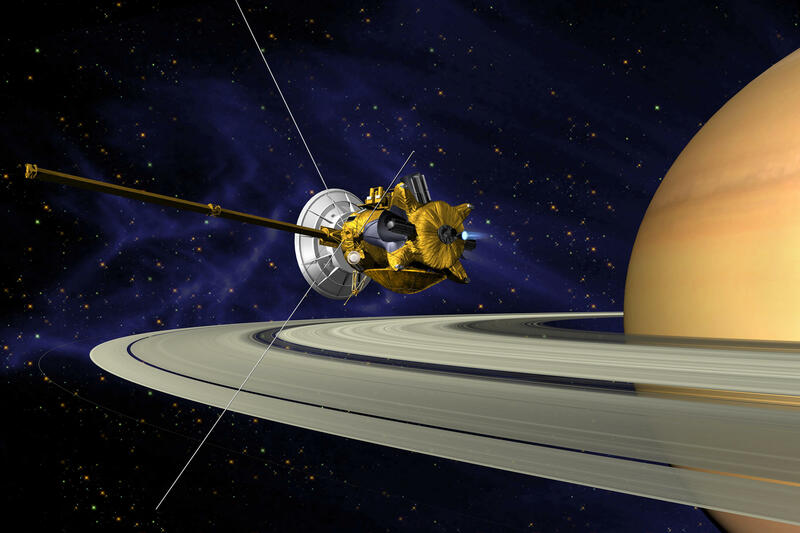 Last year, Cassini scientists announced they had discovered hydrogen, which could act as a food source for microbes. Now, Waite said, they are looking at something that could be the result of that food source. Some of the molecules on Enceladus, Glein said, are 10 times larger than last year’s findings, some 100 times larger. The size of these macromolecular organics suggests there are chemical processes present, he said, which is more proof of life sustaining habitability. Scientists have speculated that the ocean below Enceladus’ icy veneer sits on a porous core that keeps it warm. Some have speculated there may also be hydrothermal vents, which on Earth spawn complex biological ecosystems. These ideas have yet to be proven, and both Glein and Waite said when you only know how life on one planet evolved, you build your future theories around it. “Maybe its food for life, maybe stuff is eating it. Maybe it’s a remnant of life that’s gone through a bunch of processing. Maybe it has absolutely nothing to do with life,” said Jennifer Eigenbrode, a NASA astrobiologist at the Goddard Space Flight Center, who isn’t involved in this research. Eigenbrode works on the NASA Mars Curiosity Rover mission, and announced finding similar large carbon-rich organic materials on the red planet earlier this month. Despite that, she said she marvels at the findings form Enceladus. Cassini was never intended to orbit Enceladus, and came upon the spewing polar ice by coincidence, Waite said. 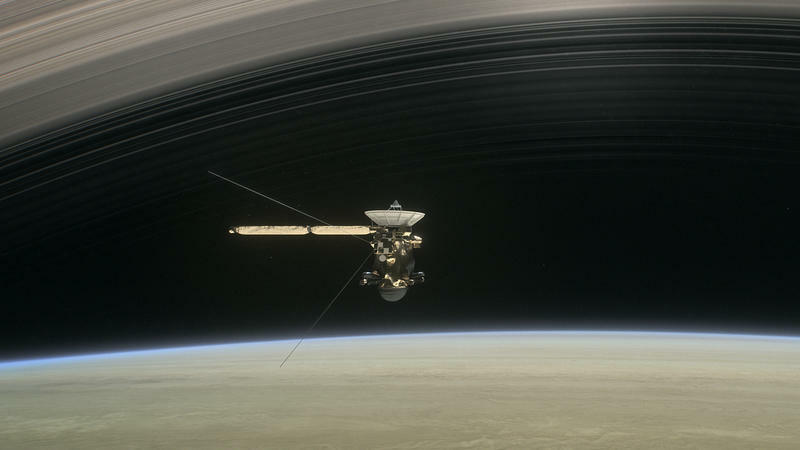 In short, the spacecraft wasn’t sent with tools that could determine the presence of life. While the data doesn’t say scientists discovered life, the findings tell Eigenbrode that Enceladus is more and more likely able to host life. 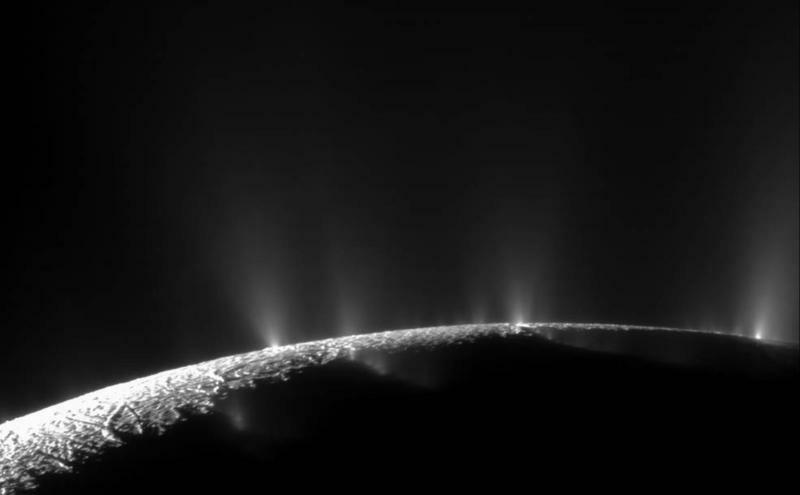 “It’s one more piece of a story that says, ‘Hey, that Enceladus ocean is habitable. Now let’s go find out if there’s life there,’ ” she said. For Glein, this is just one more piece of evidence in a case that will take decades to prove. For the past six months, I've been checking in with Hunter Waite. He's a Southwest Research Institute planetary scientist, and a principal investigator on the Cassini spacecraft.